This entry was posted on Thursday, May 12th, 2016 at 6:01 am	and is filed under Celiac & Gluten Intolerance, Miscellaneous, Nutrition Therapy, Seasonal Foods. You can follow any responses to this entry through the RSS 2.0 feed. You can leave a response, or trackback from your own site. I love you, Melissa! For your integrity, research, digging deeper, asking critical questions, and friendship! Many thanks for putting the good food word out there. Peace, Love, Gratitude! Melissa, glad you’re back, so to speak. And thanks for addressing that question in the back of every celiac’s mind: How can GM make truly gluten-free Cheerios without cross-contamination? Hi Cathy! This is what I miss about blogging — the opportunity to connect with friends. I’ve avoided those types of products (General Mills Cheerios) for that very reason. I’m not convinced I can trust them. Cross contamination and production errors can be a common occurrence if they don’t do things right. Thanks for commenting! Thank you for your commitment to honesty. I just got done reading about an event in my neighborhood this weekend to support a local organic sustainable farm. I will be there with my kids. It’s not only the human impacts that bother me but all the other animals whose space we’ve intruded upon. I live in an area where people have lawns that are filled with plant killers and fertilizers. There’s so much beautiful wildlife around here too. I can only imagine what it’s doing to them. Sigh. I’m trying to find my place in this mess. So I will start with an introduction to the local farm. Hi Stacey, So nice that you’re bringing your kids to the farm event. It’s important for them to have a sense of where and how food is grown. I agree with your “sigh” regarding land use, etc. It’s hard to be responsible stewards of the land and find your “place” in the mix. An introduction to the local farm is a great start. Plus, you care, so you’re ahead of the game! Melissa! Oh how you’ve been missed. Your posts are always so in-depth, I really do wish you had time for more of them, but life is understandably busy. Alisa! I think of you so often. Would love to see you. Thanks so much for your comment. You “get” the in-depth stuff because that’s the kind of thing you write. Analytical minds think alike. =) Hope all is well in your world. Miss you! Melissa, thanks so much for this post. I’m so happy to see you back blogging again, especially for such an important topic! As usual, you’ve covered all the concerns so succinctly. Thank you for that! I both appreciated and was newly saddened by your intro paragraph. Those “old days” were wonderful for gf bloggers and their readers. It’s a real shame that things have changed so dramatically. Last, thanks so much for linking to my post on GM’s Cheerios. I really wish they would ensure that every box is safe for those who eat gf for medical reasons, but every week I see new reports of those with celiac/NCGS being sickened by them. And now we have the glyphosate concern as well. Time to stick to the oats from folks like Gary Iverson for sure! Thanks so much, Shirley! I guess I sounded like a “golden girl” in that first paragraph talking about “the good old days.” =) But it really was a time when everyone pulled together supporting each other and sharing information. It was interesting, fun, and “nourishing” and we made lots of good friends along the way. I’m grateful for that! Also, thank you for your in-depth research and for continuing to stay on top of the GM Cheerio situation. It’s a lot of work to keep up with this stuff and you do a great job of it. I know you also have some favorite local farmers, small markets, oat sources, etc. We really do have to support these folks or they’ll get shoved out of the mix and we won’t have choices. Thanks for doing it on your end. Much appreciated!! Big hug! It is great to hear your “voice” again, Melissa. 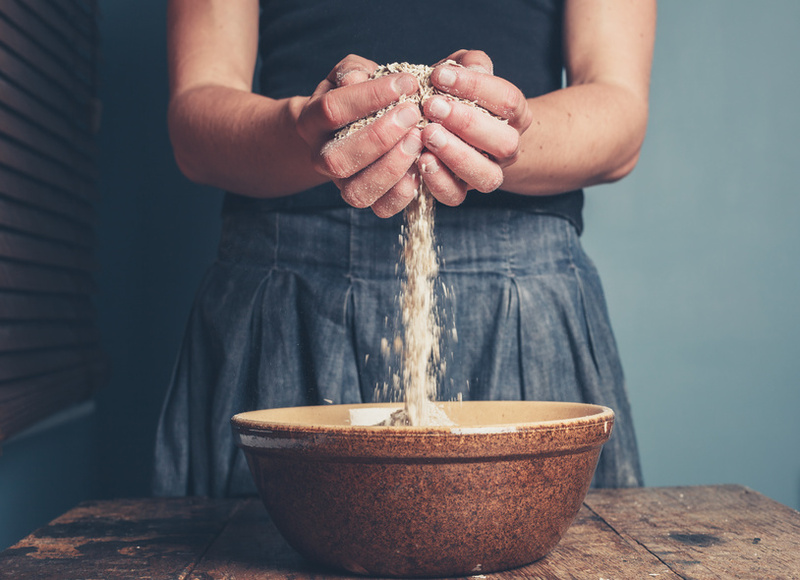 It is especially nice to hear your perspective on this issue of oats, and to know that there are others out there who are concerned about the truth behind gluten free wordspeak really not being safe or good for us. What a treat to see a post from you again!! I have missed you!!! Thanks for your info about the oats and pesticides. I was excited when GM made their cheerios GF as that was a breakfast cereal for our family growing up. Shortly after eating these Cheerios I started having skin issues with my DH even having to see the doctor. At first I couldn’t figure out what was causing the problem as everything I was buying was GF. It wasn’t until after the recall I put things together. Even though my box wasn’t part of the recall, I stopped eating them & my skin cleared up right away!!! Thank you and I am doing well now. Hope you will have a chance to post more often as I learn a lot from you!!! Glad to hear you’re doing well. Life is a series of ups and downs, that’s for sure. Hopefully a lot more “up” time than down. Thanks again!